The new PLA Radio is here and it's about nothing really. It includes updates on the latest phone mobs, PLA on CNBC, Mass Calling, some voicemails, and Mildred Monday. Pretty much everything you've already heard if you're a regular forum member. ← RBCP’s New Tell-All Expose Coming Soon! ohhh. you make me sooo happy in pants. Damned needed update. Keep ’em coming. I listened to your casts all the way on my trip to Europe last summer. Moar, plox? Yay! More PLA Radio! I would happily felate you while you make these if it would make them come out faster. I wouldn’t mind Banglin’ that chick from the Bangles. Try to get another episode out soon, like this year, please. You’re my hero Brad. Great show as always. The Mildred Monday song was the best, already listened to it like 500 times. Where’s the giant phone picture from? Hi my name is Rich and I like to do what you do. I call people and tell people I am horny. I like to do that a lot. My wife does not like it though. Did I mention I am horny? LOVED the Mildred Monday song, i want to know what song that was sung to? I also want you to make the Mildred Monday song downloadable. Figured it out, Manic Monday by the Bangles. The lyrics that i couldn’t think of came to me as i hit submit. the uh mass calls? where they at? why not have a numbers section that peoplee could submit to???????? 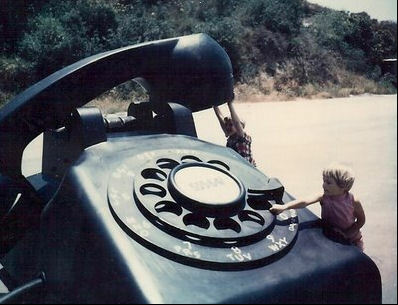 Pingback:Phone Losers of America - RIP, Mildred Monday!